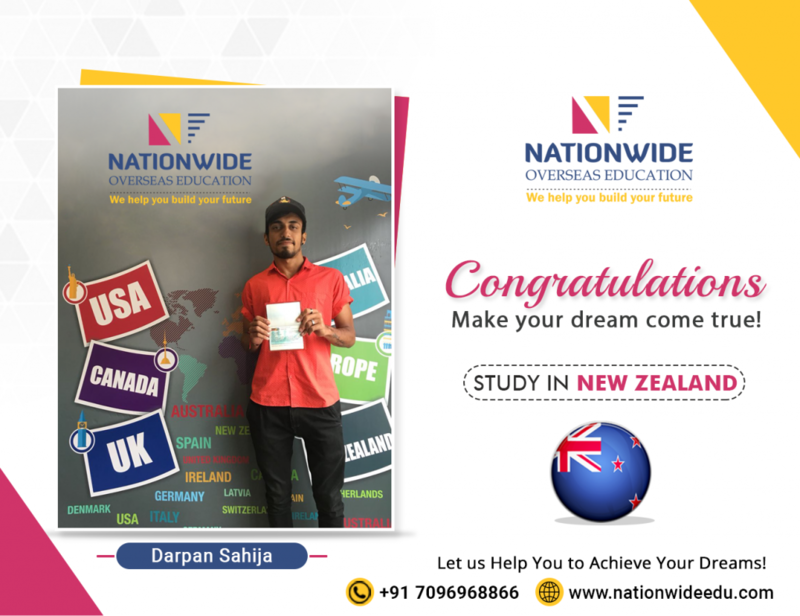 We Nationwide, congratulate to Darpan Sahija on his successful visa approval of New Zealand. 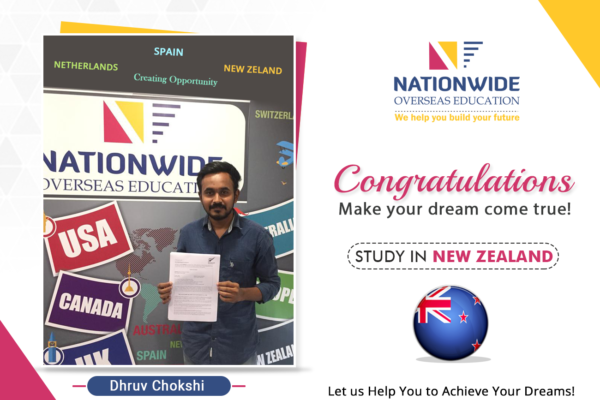 Through the in-depth counseling of our team and his own hard work he successfully got visa for study in New Zealand. 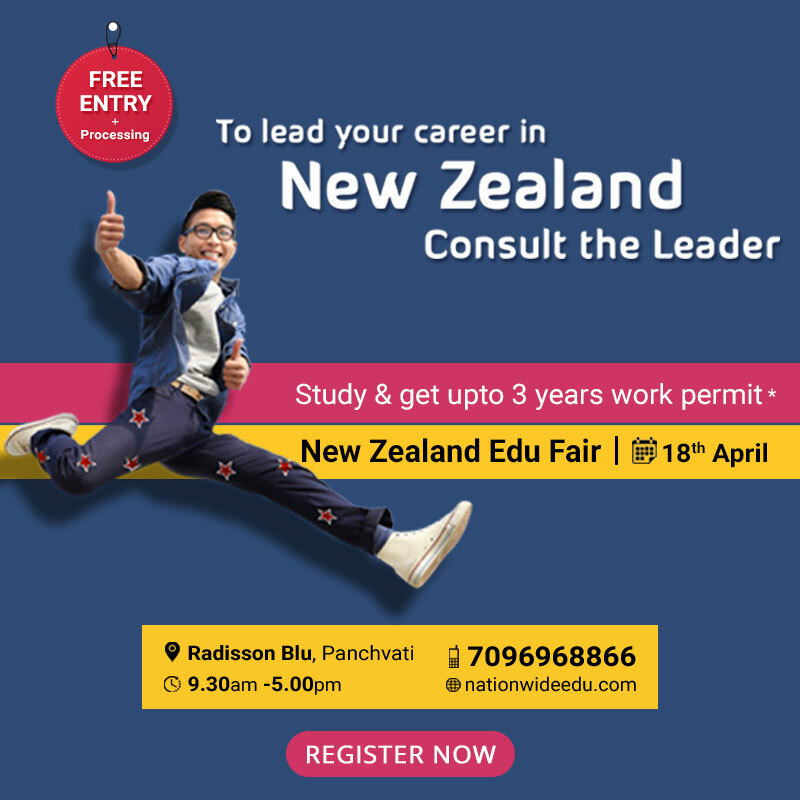 We wish that he keep evolving at every stage and inspire others with his admirable success. 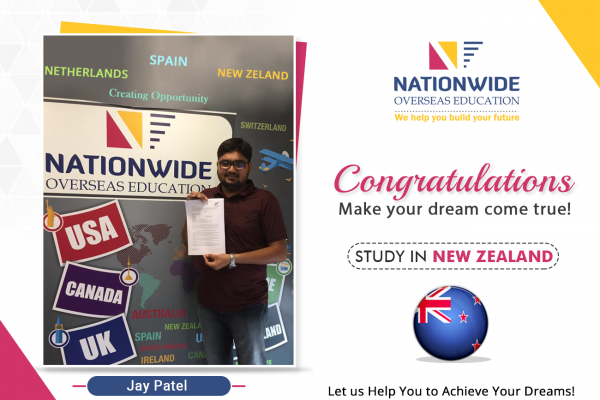 You can also get visa of your desired country with guidance of our experts.